Piano Buying Guide for Parents of Young Students - 老師有問題 Prof, We Have a Problem! We are here to help. This series of articles are co-written by me and my wife. My wife is a music teacher with her own studio (Sunny Wu Music Studio). We bought a grand piano in 2017 after a year of learning the design and manufacture of pianos and all things inside and outside pianos. Throughout this process, I read thousands of online articles along with books on piano servicing, tuning, repairing, rebuilding, and marketing. I am not a piano technician, but I understand what they are talking about. I documented our piano buying journey in a series of blog posts called “Piano Expedition (尋琴記)“. 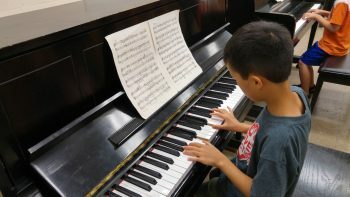 Do I need to buy a piano for my kid who just started his/her piano lessons? Are digital pianos as good as acoustic pianos? What are the differences between “digital piano” and “digital keyboard”? When should I choose a digital piano instead of acoustic piano? I found a free piano on Craigslist, should I take it? What are the rules of thumb for buying a used acoustic piano? What pianos do you recommend if I have a budget between $7k and $15k? What pianos do you recommend if I have a budget between $15k and $30k? What pianos do you recommend if I have a budget over $30k? We are not in the piano selling business and we have no business interest with anyone in the industry. We write this article based on our experiences and research on the Internet and in libraries. We do not receive any financial or material benefit for our recommendations. The only compensation we may receive is through the Google AdSense in connection with this article.